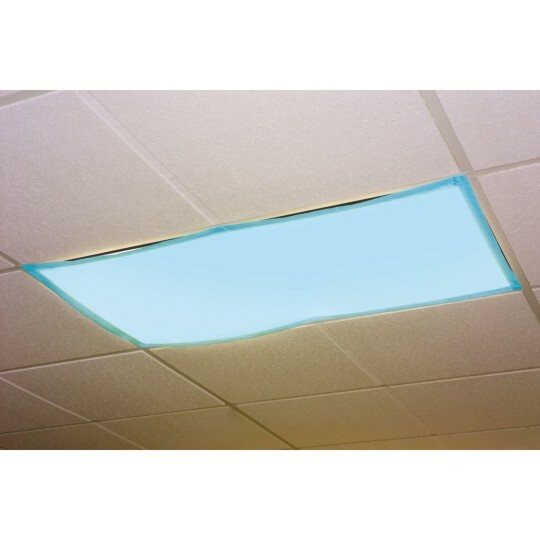 Calm and soothe clients by decreasing glare! The harsh glare and flickers from typical fluorescent lighting can cause eyestrain, headaches and anxiety. Calm and soothe clients by decreasing glare. Fabric panels fit over standard ceiling fixtures with sturdy, sewn-in magnets. Set includes four 2 x 4 heat-resistant panels. Please specify blue or white when ordering. For use with fluorescent lights only.